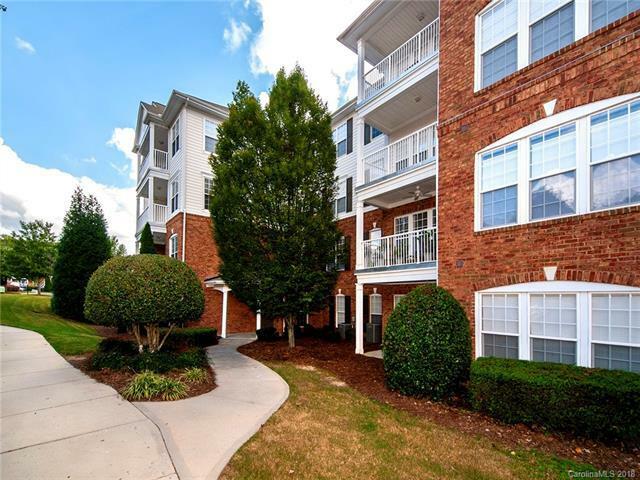 Well maintained ground level end unit in Ballantyne just behind Ballantyne Village! Split floorplan with master suite separate from the other two bedrooms. Master suite includes walk-in closet and dual sink vanity! Updated laminate wood flooring installed last year flows from the front door through the open living areas and into the master bedroom. Open floorplan with kitchen, breakfast bar and dining area looking into the living room. Patio off the dining area allows easy entry from the parking lot! Enjoy the community clubhouse and pool closeby!